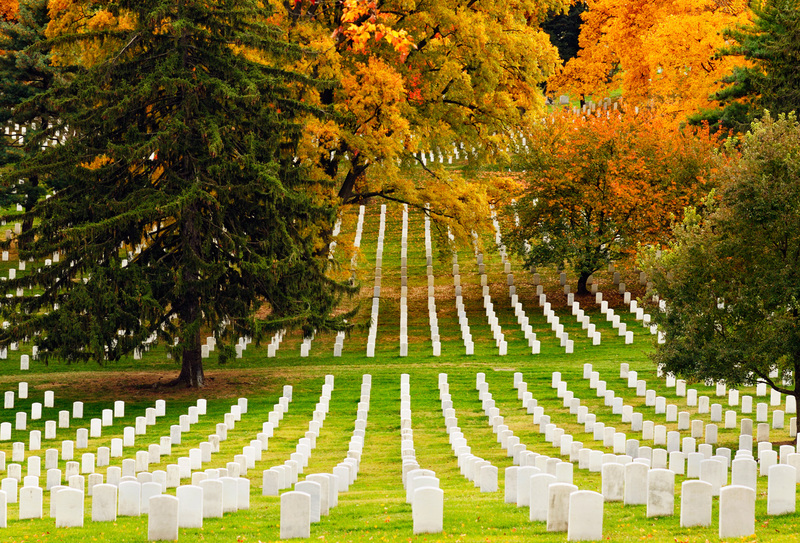 Take a guided tram tour of the Arlington National Cemetery during the fall to see a breathtaking view of this landmark. With the cooler temperatures and minimal humidity, take your time visiting the Lincoln, Vietnam, Korean and World War II Memorials. How to get there: See Washington DC on the America’s Historic East tour. Visit Portland, Maine, one of New England’s most famous cities. Stroll down the cobblestone streets of Portland’s famous Old Port Exchange, lined with its many boutiques, coffee houses, and art galleries. 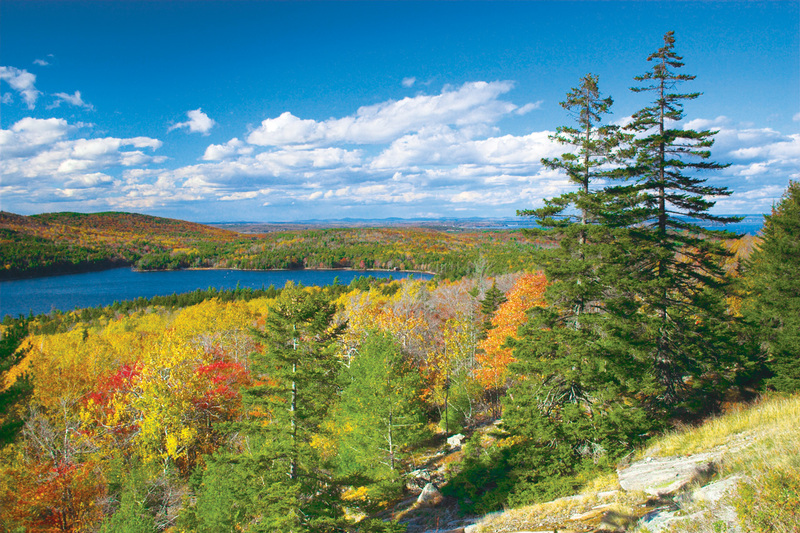 Nowhere along the Atlantic seaboard is the coast as picturesque as in Acadia National Park, one of America’s most visited national parks. 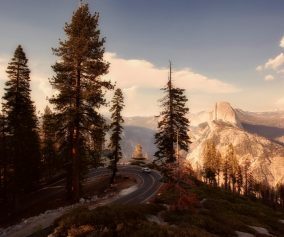 Take the scenic park road for spectacular panoramas from the summit of Cadillac Mountain, the first place in the continental U.S. to see the sunrise. 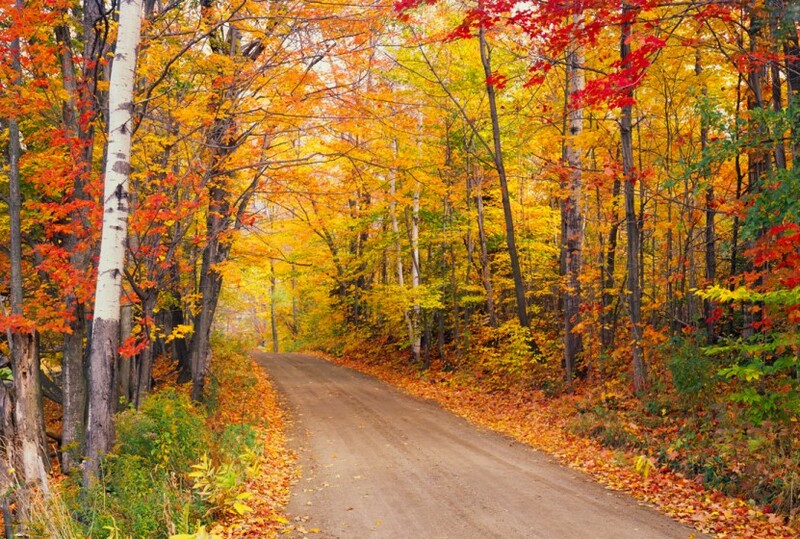 How to get there: Discover Maine on the Classical Fall Foliage tour. 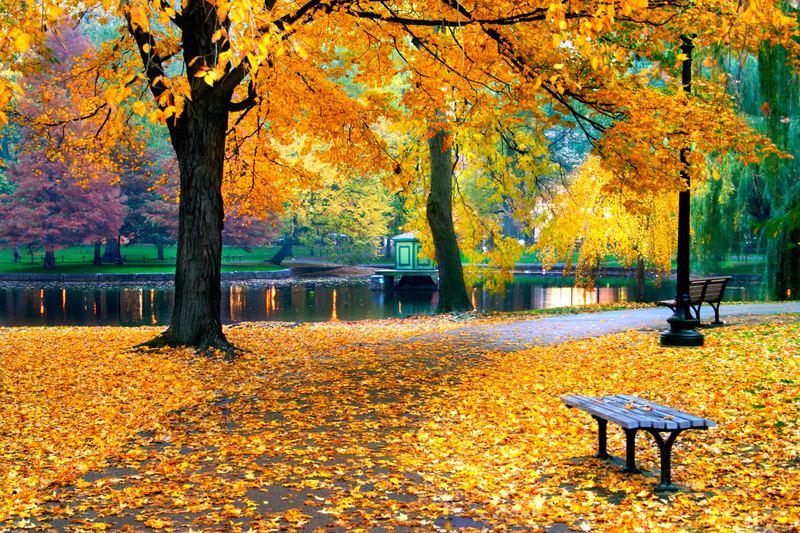 The Old State House; Old North Church; Faneuil Hall; Quincy Market: historic sites near Boston Common that are important to see any time of the year, but the Fall seems to make the history come alive. Board a harbor cruise that takes you to see the USS Constitution, the Bunker Hill Monument, and the Boston Tea Party boat. How to get there: Boston’s beauty can be seen on the Cape Cod & Islands tour. The beautiful Colorado mountains speak the language of Fall. 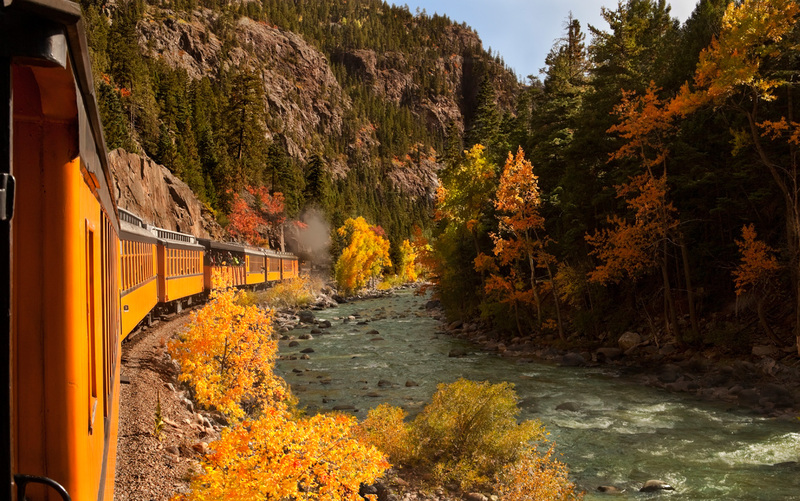 Silverton, once a major mining town, owes its name to the bragging statement by an early miner: “We have no gold, but silver by the ton!” Board the narrow-gauge Durango & Silverton Railroad for a scenic ride through San Juan National Forest. The legendary steam train hugs steep canyon walls as it winds its way through Rio de las Animas Canyon with vistas of snowcapped peaks. Arrive in Durango, a town born in the Gold Rush and silver-mining era. How to get there: Ride the Colorado rails on the Historic Trains of the Old West tour. 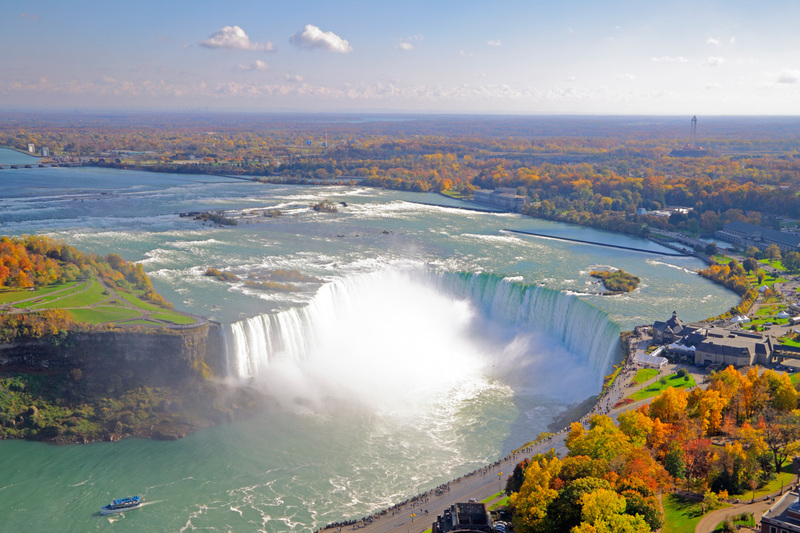 Take a short drive south along the shores of Lake Ontario to Niagara Falls. For the adventurous, your you can book flightseeing over the falls. 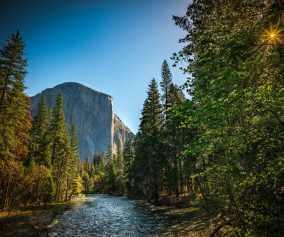 Board a sightseeing cruise for a thrilling ride to view the thundering falls from river level. Before leaving the area, see the picturesque Floral Clock. Highlights of Toronto include the Legislature Building; the ethnic neighborhoods; the University of Toronto; and Eaton Centre, the city’s number-one tourist attraction, with more than 300 stores for world-class shopping. 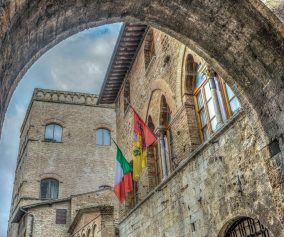 How to get there: Toronto and the Niagara Falls can be seen on the Historic Cities of Eastern Canada tour. Board a ferry that whisks you across the Northumberland Strait to Pictou, known as the “Birthplace of New Scotland.” It was here that the first boatload of Scottish Highlanders landed in Nova Scotia in 1773. Then, travel along Ceilidh Trail, where Scottish traditions and Gaelic folklore come alive. 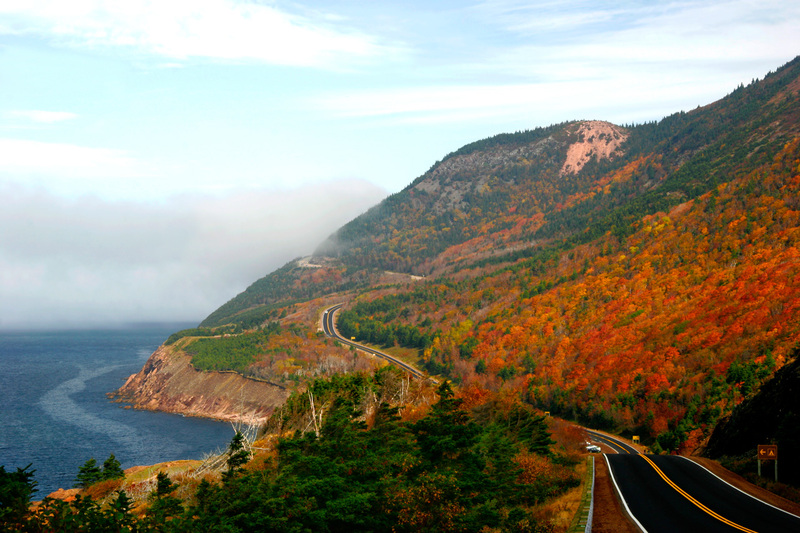 Travel along the Cabot Trail, considered one of the most scenic drives in the world. Proceed along the coast, savoring magnificent vistas of the rocky shoreline and the Gulf of St. Lawrence. Enter Cape Brenton Highlands National Park, a landscape that strikingly resembles Scottish coastal regions. How to get there: This scenic drive and national park can be seen on the Wonders of the Maritimes & Scenic Cape Breton tour. 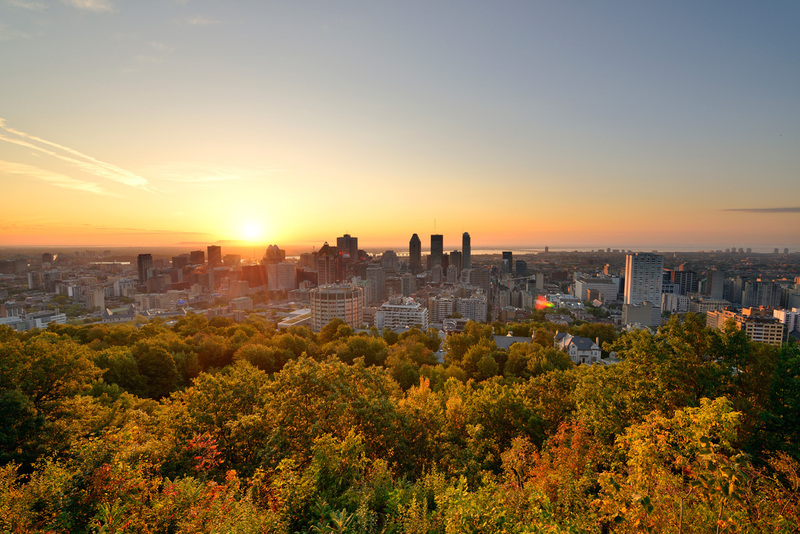 Travel to Montréal, Canada’s second-largest city. See the sights, such as Notre Dame Basilica, the Old Seminary of St. Sulpice, and a drive to the top of Mount Royal to enjoy a panorama of the city. Stroll through the underground shopping area of Place Ville-Marie or visit historic Old Montréal. How to get there: Take pictures of this view of Montréal on the Eastern US & Canada Discovery tour.